Show trimming shears where once the sole domain of manufacturer Burgon & Ball – a UK company renowned worldwide for their famous red handled South African “Drummer Boy” or the professionals much favoured “Hindes Pattern” with its taper pointed tips. Today that is sadly not the case as in recent years the quality of Burgon & Ball shears – especially the trimming shears has become disappointing to those who professional trim sheep for exhibition. Few in the boxes we get from B & B are anywhere near the standard I recall in the 1980’s and 90’s and although we have made several representations to the B & B Management, the finished quality remains in our opinion very poor. Sadly the few alternative makes on offer from retail outlets are little better, with weak steel and poorly designed blades, so it was exciting as an ex showman myself when visiting a manufacturer in Solingen, Germany, (known to us for over four decades.) I discover was the distributor for small company called Berger who manufactured two sizes of high quality hand shears – 5.5 and 6.5 inch in both straight and cranked. Holding these was like turning the clock back to the good old days when a hand shear was a tool of the highest quality. Forged in quality steel as can only – it would seem be made by the Germans in the town of Solingen! 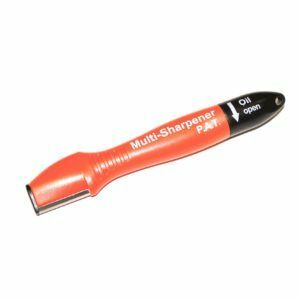 From the professional trimmer’s point of view the “ride” and angle of each blade was pure precision, the blade tips both equal on closing, and cutting the whole length of the blade to the very end of the tip. The “bow” is as the bow of a shear should be! “Sprung” in a way it never become sloppy and needs re-setting! Once again the Germans show us what good quality really is! The German “Berger” double bow hand shears are a superbly crafted tool – typically German made from Solingen steel, internationally famous for knives, scissors and many other items, they are manufactured by a small German engineering business- ironically for the trimming of “garden plants!” rather than the trimming of sheep. One is immediately struck by the quality of the blades and you don’t need to be an expert on steel to realise this is the real stuff! The Germans – for a nation, which hardly ranks as “Master show trimmers of sheep” they certain lack nothing when it comes to design, quality and finish! Sad to say the finish quality of the Berger shear only serves to show how sharp the decline of quality has become with the Burgon and Ball products. If you appreciate a fine quality tool, and want to trim – and have the ability to make your sheep look exceptional then you will appreciate the fine qualities of a Berger hand shear – it is superb! I recall the era of the Marples shear and how back in the 1970’s a 92 year old Head shepherd who was my mentor at the Royal Show suddenly out of the blue gave me his old Marples shears (His father had given them to him so I would guess they were old when he gave them to me- telling me “One day boy you will win the Royal with a sheep trimmed with these!” He was right – 15 years later I did! A Marples shear was something “special” – the blades were occasionally honed up – not with oil – but with a bit of “spit!” on a very “special” stone. (Given to me by the same old shepherd) Well the Berger shear bears many of the Marples qualities. Do I select – Straight or Bent? Well the honest answer is if you have the aptitude you can produce a winner with a straight set! I started with only straight, but in time I actually I had both – bent and straight, they each had an invaluable roll! The bent shears for bring the neck, chest and flanks in, as well as shaping the sides. The straight shears gave you that dead level back at is so essential! I think honestly for the serious minded exhibitor both straight and bent have important rolls in the modern trimming and certainly make life easier as well as creating a great look and appearance! As one who has professionally trimmed more sheep for shorn bare or full wool class than I care to remember, I would have no hesitation is saying if you appreciate a really good hand shear and will care for it – keep it clean and free from rust, and in the case of trimming shears keep them for that task alone, then whether you show trim or just dag your sheep this German “Berger” shear has to be one for your serious consideration. Forget the fact Berger hand shears may cost a fraction more; – it always pays to pay slightly more for “assured” quality! With a German product …………..you know .you get real quality and …….a product that will last for years!